How Much Does a DUI Cost Over 10 Years? Possibly Millions. The CEO of a publicly-traded corporation cannot afford the negative publicity and impact of a drunk driving conviction. 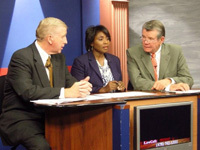 Because a Board of Directors sees adverse publicity as a possible market force to drive down stock prices, a high-level executive, celebrity or sports figure whose DUI conviction gets publicized can mean that the high-dollar job, company car and benefits package can disappear when a news story of the pending criminal case affects company value. This salary package, over 10 years, can easily be in the hundreds of millions, for this individual, whereas the janitor at the same company may not notice any impact from a first offense DUI conviction. The ten-year cost to a garbage collector or janitor whose clean criminal history is not important to his or her employment, when compared to a high-ranking business executive, is like comparing the cost of a single grape to a watermelon. Our clients are not people who have nothing to lose. Most people in the garbage collector or janitor category with a drunk driving case will have a court-appointed public defender, because they cannot afford any criminal attorney, much less hiring the best DUI attorney. Many people charged with a GA DUI call our law office to ask, “How much is a DUI ticket?” This question is both ambiguous and far too simplistic to quote a DUI ticket price. These unsophisticated callers act as though they are checking prices on a 55” 4K television. 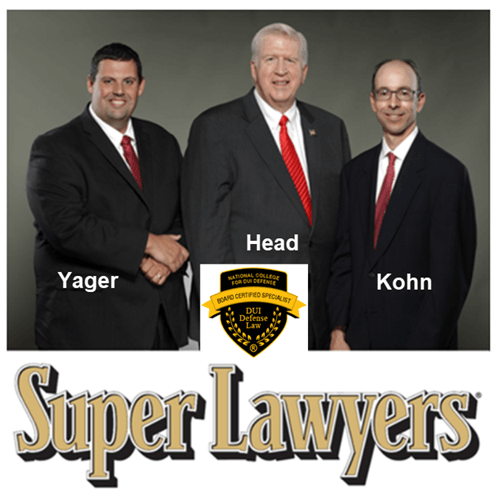 Attorneys are NOT alike, when it comes to finding the best lawyer for DUI defense. Plus, the DUI cost after a DUI conviction in one state cannot be compared to cost of a DUI conviction in another state, since more information is needed to determine the final cost. Several states, like Texas and New Jersey, stack on huge surcharge costs that boost fines (a small part of drunk driving costs) to four or five times the amount of the fine itself. 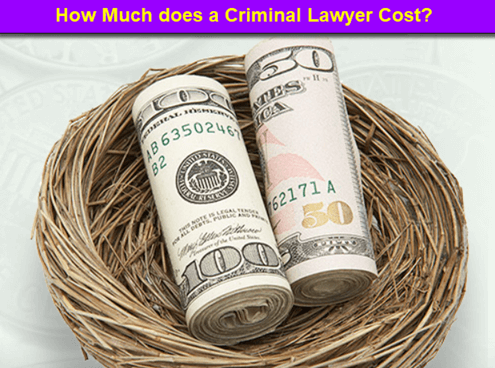 More importantly, the cost of DUI lawyer fees is a mere fraction of the costs of being convicted of DUI, in terms of economic impact, for almost all accused drunk drivers. 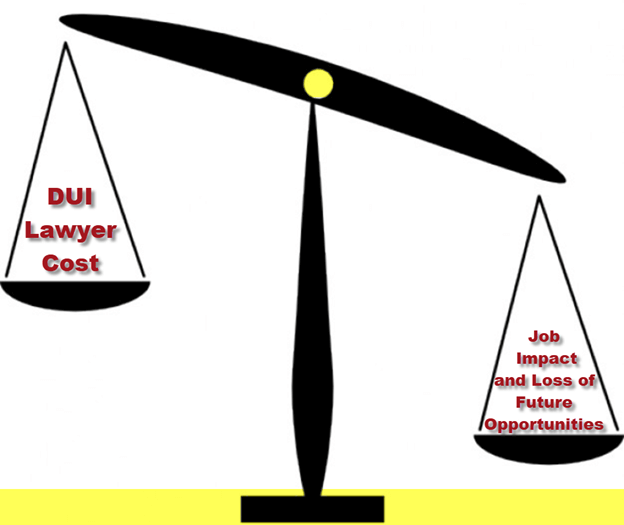 Even if your fines and surcharges were $2000 in a DUI GA case, if you lose your job, or cannot get a new job due to a DUI conviction, the attempt to isolate on a legal fee as a cost of DUI is a waste of time. Every state’s laws are different, and possible options for a first offense DUI “deferment” of youthful offender or potential expungement of DUI will be controlled by the state law where the DUI-DWI occurs. By way of example, DUI attorney cost and many other staggering financial factors are listed below, and your state DUI laws and federal laws play a part of this equation. Variables on your DUI lawyer costs will include whether the arrest is for a felony vs misdemeanor and whether a drunk driving accident has led to civil damages and possibly punitive damages that can run into the millions of dollars. Plus, for any death or serious injury cases caused by drunk driving, the federal bankruptcy laws prohibit the DUI driver from being able to discharge this category of debt – ever. With jury verdicts in DUI death and serious bodily injury cases caused by drunk driving often exceeding $5 million, the virtually unlimited financial exposure an accused drunk driver may have is limitless. 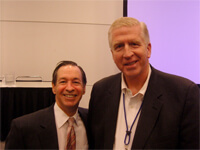 Therefore, criminal defense lawyer fees, even for the best DUI attorney in America, are a mere drop in the bucket. Whether you hire the best DUI lawyer in Atlanta, or the top Houston DWI lawyer in Texas, a $15,000 extra cost to hire the best attorney is insignificant. In the big picture, this fee to maximize the chances of winning the driving under the influence case, over what a good DUI-DWI lawyer may charge, is chump change. Protecting your financial future and advancement opportunities is the REAL objective. Beyond the frightening factors and variables described above, more justifications exist for seeking a DUI defense lawyer with impeccable, unmatched success over many years, and a reputation for knowing how to beat a DUI. Read over attorney ratings and prior client reviews, but look at the four best, independent legal industry lawyer ratings, to see if he or she has achieved global recognition for being the best DUI attorney (in your state). 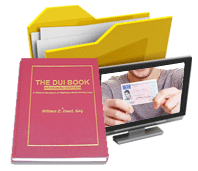 Some states (like Maryland and Mississippi) offer certain first offense DUI driver diversions, deferrals, first offender act, expungement, probation before judgment, record restriction, or other alternatives to a first-time DUI offender. Other states, like Georgia, do not. Each state’s legislature decides how long car insurance companies can upcharge you for your bad driving history from a DUI case. States like California and South Carolina (which has an integrated auto insurance system tied to a DUI drivers’ license) are lengthy and punitive, while other states (e.g., GA) limit the higher rate to three years. Other states, like California allow exorbitant car insurance costs for much longer. Over half the states, including Tennessee, now require a mandatory ignition interlock on every DWI-DUI offense, including first offense DUI. The time period for installation and maintenance of the required ignition interlock device installation and monthly monitoring and maintenance expense commonly lasts for a year or more, before you can obtain license reinstatement or obtain a work permit or restricted license. The duration of interlock installation for repeat offenders can last 10 years (New Jersey) for repeat DUI offenders, meaning a cost of $30,000 to $40,000. Many states impose a lifetime ban on obtaining a driver’s license after a third DUI offense (Michigan), 4th DUI (Florida), or reaching some level of having a recidivist drunk driving criminal record. This can mean that the cost of DUI can be in the hundreds of thousands of dollars, if not millions of dollars in lost opportunity cost. Once listed as a banned driver, other states will not issue you a driver’s license. Few people can afford UBER or LYFT for the remainder of their life, and with the exception of a few dozen major American cities, adequate public transportation alternatives do not exist. Employment impact from a DUI-OVI conviction is one of the most punitive aspects of any DWI-DUI conviction. Employers like Sprint ban hiring anyone with a DUI, and certain highly valuable types of high-security employment proscribe anyone with a DUI from meeting high-security clearance background checks. Easily, the differential between the higher paying jobs and “leftover” positions can run into millions of dollars for a person with a lifetime criminal history from a DUI conviction, since many states have no method of expunction or record restriction in their state DUI laws (e.g., Georgia). Prosecutors do not like to lose cases. They also share information on attorneys, and know which criminal defense attorneys are “pleaders” are and which ones are “fighters.” If the prosecutor assigned to your case has no fear of the trial skills and the impressive jury trial victories of your chosen DUI attorney, don’t expect to see your DUI reduced to reckless driving (in states that don’t prohibit such reductions, like Oregon and North Carolina). Like all business transactions and even every fistfight, knowing that you will likely lose is a great motivator to “make a deal” and not fight. When you have identified your court’s best DUI lawyer, he or she will be discussing how your drunk driving case can be won (or, in states with favorable first DUI offense alternatives, to restrict criminal records) the steps that will be mandated for you to be eligible. Because many states have repealed DUI first offense plea alternatives with some helpful driver’s license concessions (e.g., Georgia DUI nolo contendere plea, and nolo contendere in North Carolina), you may have to hire the best DUI attorney in your state one even a first offense DUI. For many of our DUI law firm clients, seeking to win the DUI case is the only answer. Our clients do not ask us, “How much do DUI classes cost?” They want to know their chances of winning, and how we would go about doing it. Because our DUI attorneys meet with clients for FREE, what do you have to lose by calling our 24-Hour Number: 404-567-5515? Do you know any surgeons who will give you a FREE consultation, and talk to you whenever you call? 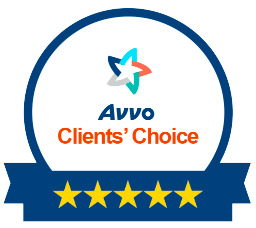 Learn why our lawyer ratings are among the best in America, for DUI law firms. We’ll treat you like FAMILY, and make you a raving fan of our legal services.